The luminous talent of the Hermès Quartet members has consistently brought acclaim. The Washington Post writes that it “will likely take its place among the top quartets of our time.” The Quartet’s far-reaching and flourishing career has taken it to the United States, Japan, Argentina, France, United Kingdom, Italy, Germany, Switzerland, Austria, Poland, Belgium and the United Arab Emirates. Upcoming appearances include a concert at the Wigmore Hall in London. 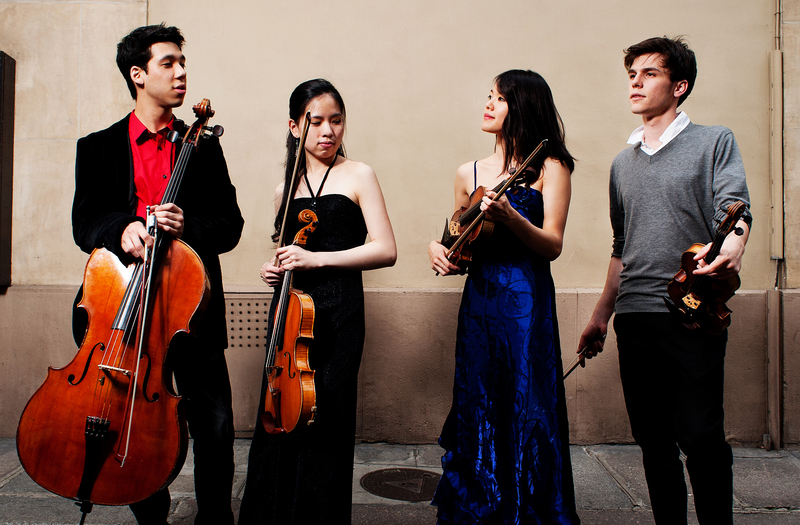 Winner of the 2012 Young Concert Artists International Auditions, the Hermès Quartet made its acclaimed U.S. debuts at the opening concerts of the YCA Series at Carnegie’s Zankel Hall, and at the Kennedy Center’s Terrace Theater. Among its other numerous concerts throughout the U.S. are recitals at the Morgan Library and Museum in New York City, National Gallery of Art and Embassy Series in Washington, Boston’s Isabella Stewart Gardner Museum, Lied Center of Kansas, the University of Georgia, the Friends of Chamber Music in Texas, Iowa State University, University of Florida Performing Arts, Manhattan’s Peoples’ Symphony Concerts, Buffalo Chamber Music Society, Schneider Concerts at The New School, Hayden’s Ferry Chamber Music Series, Wave Hill, and Stephens Performing Arts Center. 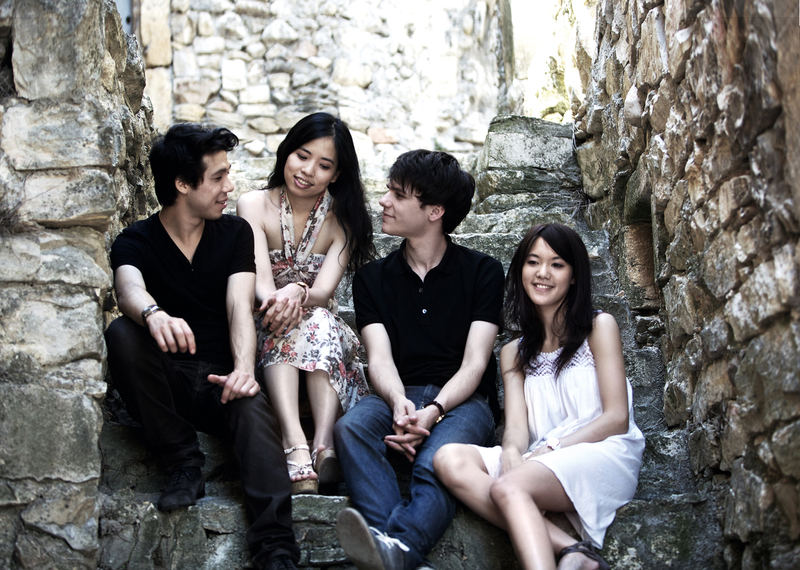 Currently based in Paris, the members of the Hermès Quartet met at the Lyon Conservatory and formed the ensemble under the tutelage of Zoltan Toth and Reiko Kitahama in 2008. They have worked with Alfred Brendel, the Artemis Quartet and the Ysaÿe Quartet. The Quartet receives support from France’s Banque Populaire and Singer-Polignac Foundations.